Dallas, TX (April 1, 2019) – Around 3 a.m. on Thursday, March 28, DFW Department of Public Safety responded to a motor vehicle accident at the Dallas-Fort Worth International Airport. According to reports, a vehicle traveling along the property struck a security guard post on the premises. Four security officers were injured in this incident. One of the security officers remained hospitalized and was required to undergo a surgical procedure to treat injuries sustained in the incident. At this time, no further information has been released regarding the names of the security guards injured or the driver of the vehicle. Our thoughts and prayers go out to the four security officers injured in this incident in hopes of a full recovery. Each year, over 500 workers are injured on the job in Texas. Regardless of the number of safety measures and precautions set in place, there is no way to ensure a location is 100% safe against all types of danger. 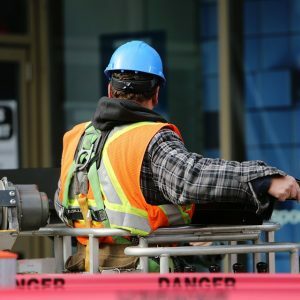 Sadly, workers who are injured on the job often deal with overwhelming suffering – physically, emotionally, and financially. Victims and their families are often left to bear thousands of dollars in medical expenses to treat injuries while being unable to work. Victims who are injured on the job can contact a Texas workplace accident attorney to file a legal claim for compensation. These claims help victims pay medical bills and deal with other financial obligations, so they can focus on recovering without worry. Our skilled Texas accident injury attorneys work diligently to protect the rights of injured workers across our state. We have helped several accident victims collect the maximum amount of compensation possible for their claims, and we will help you do the same. If you were injured at work, contact the Benton Law Firm at (214) 219-4878. Schedule a free case evaluation with a Texas personal injury attorney as soon as possible to see what legal options are available for you.